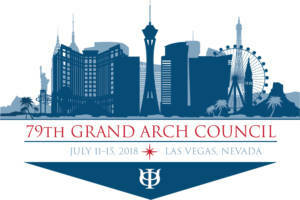 With the 79th Biennium of the Grand Arch Council quickly approaching, the glitz, glamour and allure of Las Vegas is buzzing. Beyond the meetings and events planned for the first few days of GAC, there’s plenty of fun to be had throughout the city. Below you will find a list of events, attractions, and unique findings that will be sure to elevate your stay to a whole new level. For a full list of options, go to www.VisitLasVegas.com and key in the GAC dates. 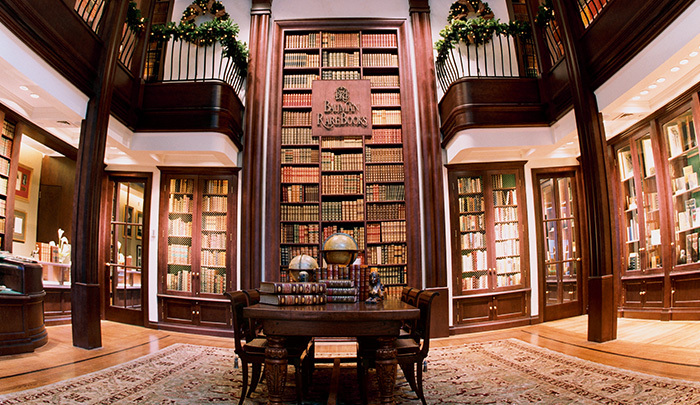 If books and history are of interest, Bauman Rare Books located inside the Grand Canal Shoppes at The Venetian/The Palazzo is a must. Many first-edition books and documents grace the shelves, and customers can get a taste of history by viewing an original copy of Mark Twain’s Huck Finn and Beethoven’s Fifth Symphony. You can find out more by visiting the Bauman Rare Books website. 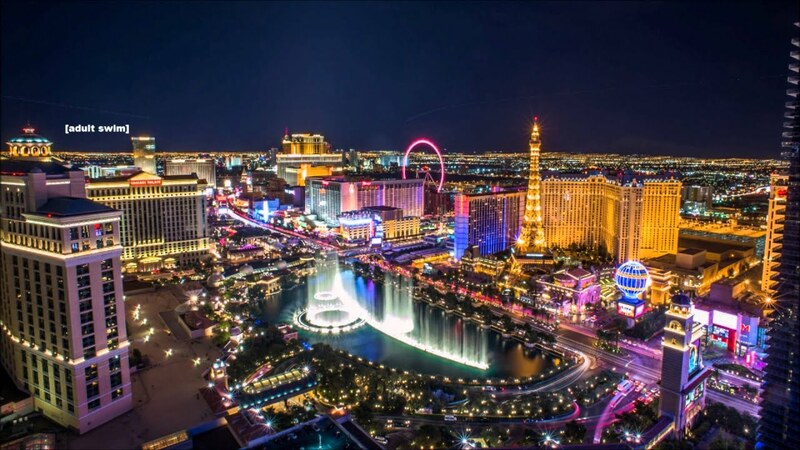 Experience Las Vegas with breathtakingly beautiful sights from 1,149 feet in the air at the Stratosphere Tower on Las Vegas Boulevard. It is the tallest, freestanding observation deck in the U.S. 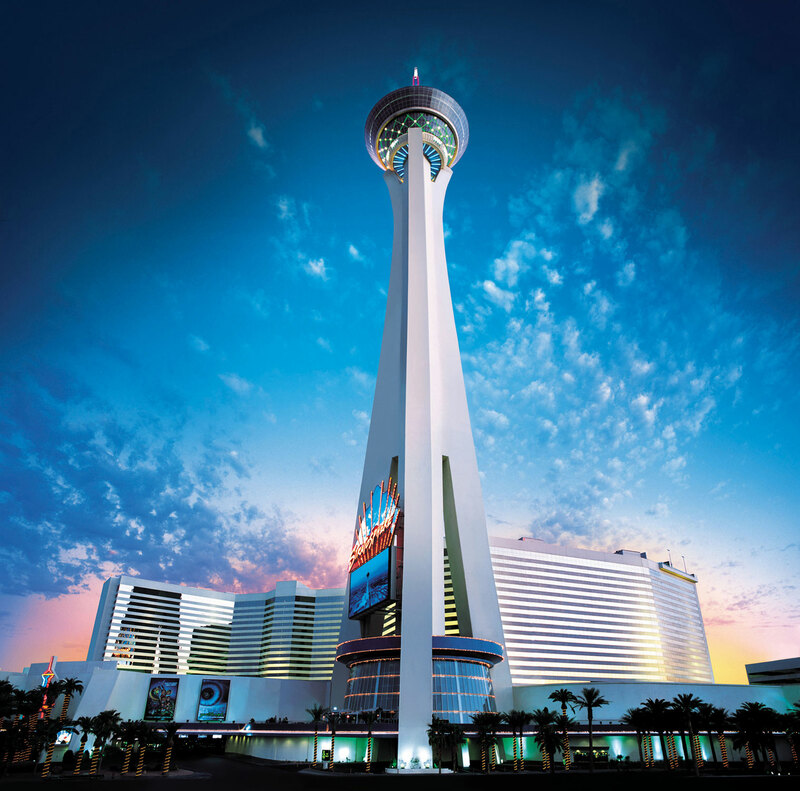 Along with a bird’s-eye view, the Stratosphere features award-winning dining options, specialty retailers, the Chapel in the Clouds, thrill rides and the SkyJump Las Vegas. You can learn more by visiting The Stratosphere Hotel website. 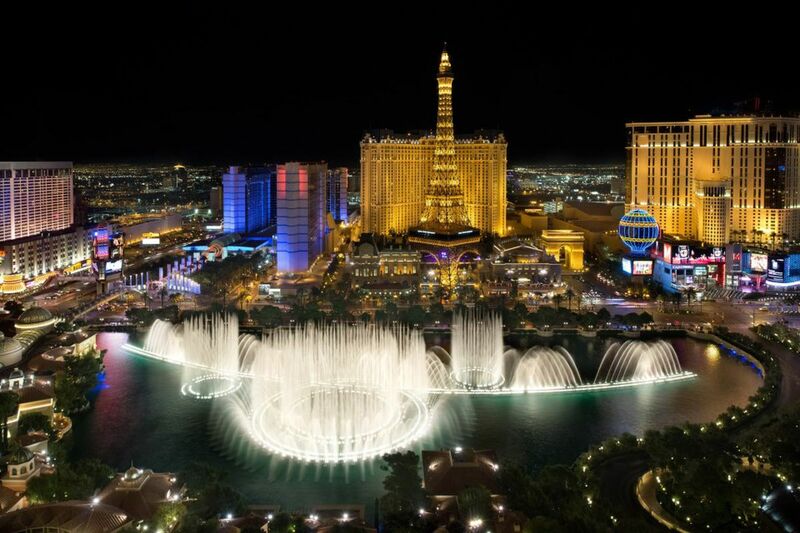 Opera, classical, pop and Broadway music meets interwoven water and lights during the Bellagio Fountain Show every 30 minutes from 3 p.m. to 8 p.m. Monday through Friday and every 15 minutes from 8 p.m. to midnight. On Sundays, the show starts at 11a.m. every 30 minutes until 7 p.m. and every 15 minutes until midnight. On Saturdays and holidays, shows start at noon every 30 minutes and change to every 15 minutes from 8pm to midnight. This is one show not to be missed because no two performances are the same. Check out more at The Bellagio website. 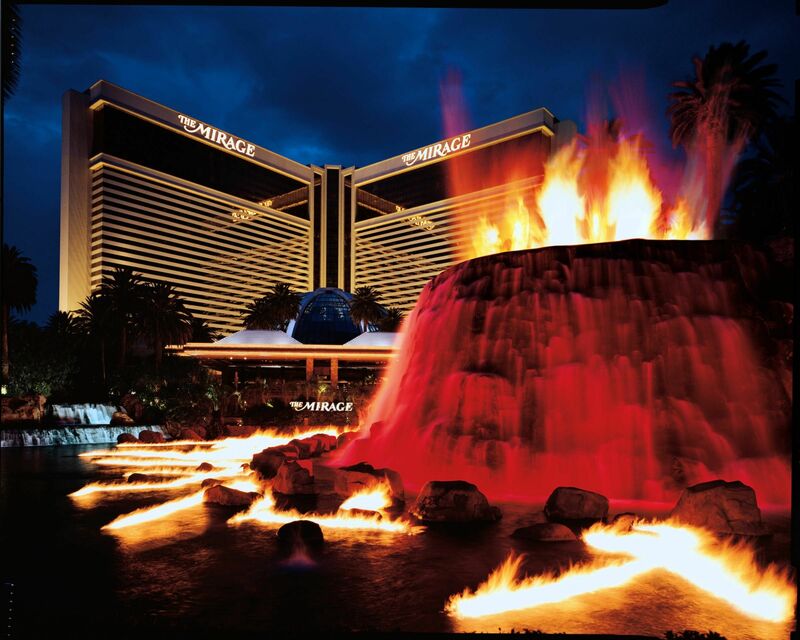 The front yard of the Mirage off Las Vegas Boulevard is booming with the sights and sounds of fireballs, loud eruptions and a soundtrack by The Grateful Dead’s Mickey Hart and Indian tabla sensation Zakir Hussain. This free show blasts off at 7 and 8 p.m. Sunday to Friday and Saturdays at 7, 8 and 9 p.m.
Get the scoop at The Mirage Hotel website. In Las Vegas, the thrills and views of the London Eye, Las Vegas Boulevard and the Singapore Flyer keep turning at 550 feet high and 520 feet in diameter. If a fear of heights is of little concern, the High Roller observation wheel at the LINQ is another way to see the city. Taking approximately 30 minutes to spin, the wheel has 28 glass-enclosed cabins with broad views. Each cabin holds up to 40 people, with benches and floor space. A family four-pack of tickets costs $59. More info available at The LINQ Hotel website. 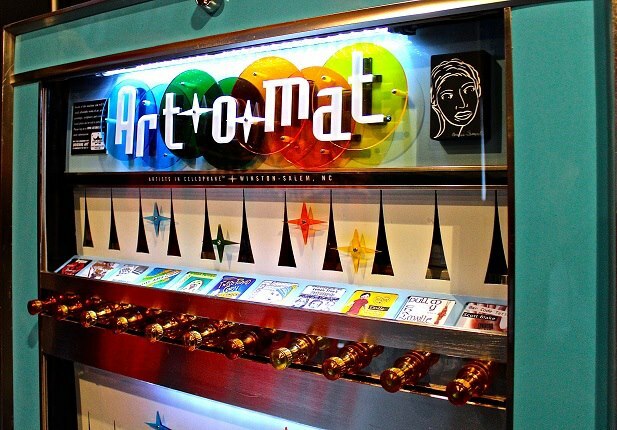 Strategically located inside the Cosmopolitan of Las Vegas on the Strip are Art ‘O’ Mat vending machines where customers can purchase everything from jewelry, accessories and small paintings to commemorate time spent in Las Vegas. Learn more at the Art-o-Mat website. 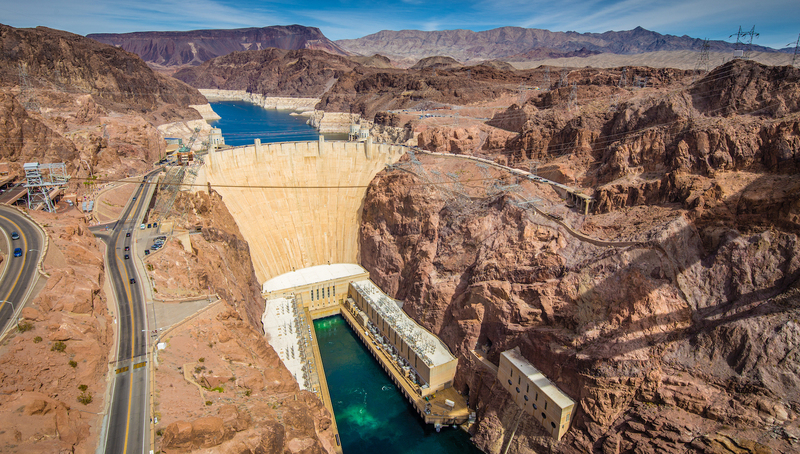 Bordering Nevada and Arizona 35 miles south of Las Vegas sits the Hoover Dam. This impressive engineering masterpiece was constructed between 1931 and 1936 during the Great Depression and was dedicated on Sept. 30, 1935 by Franklin D. Roosevelt to kick start economic development in the West. More than 100 years later, tours are still offered. Tickets cost $30 and reservations are not required. You can purchase tickets at the Las Vegas website. Become one with nature on 13 miles of scenic trails full of plants, wildlife and geology along the one-way Red Rock Canyon National Conservation Area. Indoor and outdoor exhibits and a gift shop also make the experience. Tours can be taken on foot for $5 or by car for $15. Start your nature connection by visiting the Red Rock Canyon website. Acrobats, clowns, daring acts and plenty of artistry come together for a thrilling show complete with a midway theme at Circus Circus. Tight rope your way on over as free shows begin daily at 11:30 a.m.
Get the full scoop by visiting the Circus Circus website. With a mission of educating the public on the effects of organized crime within American history, the Mob Museum offers a glimpse from vintage Las Vegas to present day around the world. Four floors of interactive exhibits and actual police artifacts tell the stories and provide a look at how law enforcement is fighting back. Tickets start at $26.95 and can be purchased online. 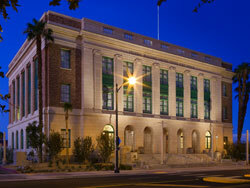 Take a shot at crime history by visiting The Mob Museum website. There will be no organized golf tournament this year at GAC, but that doesn’t mean you should miss out on hitting the green. There are plenty of nearby golf courses with exceptional views and challenging fairways. Red Rock Concierge can assist you with getting tee times and directions. They can be reached at (702)797-7877. 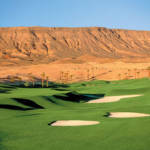 Bear’s Best Las Vegas offers a remarkably distinctive golf experience. 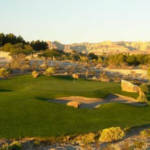 Jack Nicklaus selected 18 holes from his more than 200 course designs worldwide allowing golfers to play holes from courses such as Castle Pines, Muirfield, and PGA West. This course gives golfers the opportunity to play 18 of Jack Nicklaus’ favorite golf holes in one majestic round of golf. Each hole was selected by the Golden Bear to flow perfectly in creating this one-of-a-kind golf experience. Bear’s Best is par 72 and 6,628 yards from the middle tees. This course is an Arnold Palmer Signature course and is the only course at Red Rock Country Club open to the public. Stretching 6,857 yards and playing the Arroyo is a rare mix of compelling design and exceptional beauty. Bold bunkering, dramatic water hazards and the stark contrast of emerald greens against the tanned desert mountain, make the Arroyo as visually striking as it is challenging. This links style layout with Bermuda grass fairways and Bentgrass greens will challenge every level of player. It has five sets of tee boxes to suit all golfers’ abilities. The Arroyo Course plays 6,433 yards from the middle tees and is a par 72. This course combines striking bunkers, a long front nine, and tough pin placement possibilities to make Siena a challenge. Surviving Siena’s first five holes is a big key to a successful round. The variances of length, direction, strategy and uphill-downhill holes make the course both challenging and enjoyable for all golfers. Siena is par 72 and plays 6,538 yards from the middle tees. This Bobby Weed and Raymond Floyd course is designedfor the PGA Tour. It features a variety of trees, elevation changes, steep ravines, and a large canyon lake. With Bermuda grass tees, and fairways that fade into rough of bent grass greens, this is desert golfing at its finest. 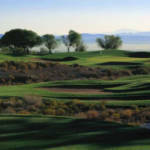 TPC is considered one of the best courses in Nevada. Par 71 and playing 6,772 yards from the middle tees. Two plush Arnold Palmer-designed courses and a lighted 12-hole (par-3) Cloud Nine Short Course make Angel Park the most diversified golf facility in the city. professionals. At an elevation of nearly 3,000 feet, the Mountain Course boasts spectacular views of Spring Mountain, Red Rock Mountain and the Las Vegas skyline. The course plays 6,722 yards and is a par 71. The Palm Course: Ideal for all levels of golfers, especially beginning and intermediate, but with enough challenge for even the best golfers in your group. This beautiful course is a reminder of Las Vegas courses of old. The wide fairways and multiple tee placements are ideal for beginning and intermediate golfers, but you’ll need plenty of distance off the tees and lots of finesse to tackle the rolling greens. The course plays 6,530 yards and is a par 70. 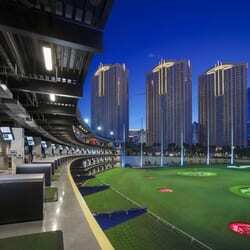 Score some points by visiting the Top Golf – Las Vegas website. Make your pool time in Las Vegas luxurious. Cabanas and daybeds are available to rent by calling the Cabana Team at (702)797-7873. Prices for cabanas vary by day, with prices starting as low as $150 per day, Monday through Thursday. Friday, cabanas can be rented for $200, and $400 on the weekend. Stop working and start relaxing by heading to the Red Rock Resort website. 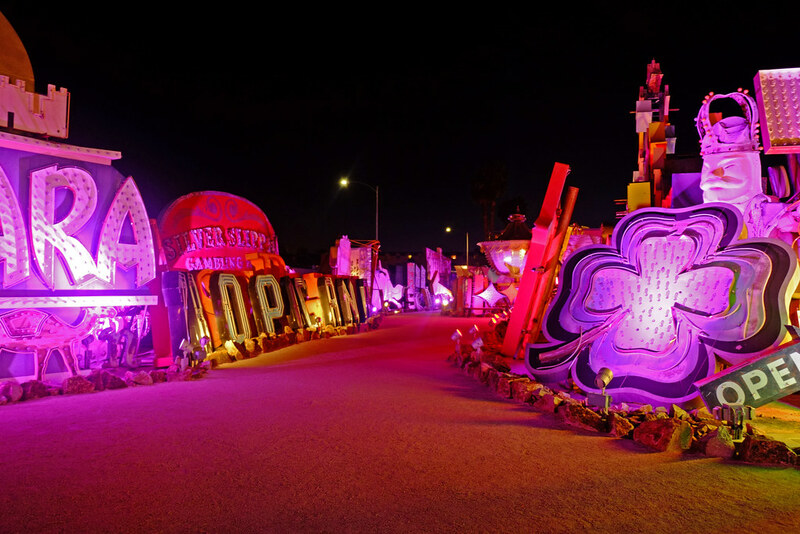 At the intersection of Las Vegas Boulevard and Freemont Street, lights and signs merge on two outdoor acres known as the Neon Museum Boneyard. The North Gallery houses additional rescued signs, and is used for weddings, special events, photo shoots and educational programs. A visitors’ center is housed inside the former La Concha Motel lobby located on the grounds. Guided tours of the Neon Boneyard are available seven days a week. For an added glimpse into Las Vegas history set to music and lights, don’t miss Brilliant! playing four times nightly. Get your glow on at the Neon Museum website. The History Channel expanded the reach of Rick Harrison’s World Famous Gold and Silver Pawn Shop on Las Vegas Boulevard. Now you can visit the iconic storefront and Pawn Plaza where Rick and his staff are making deals. Tours are given daily and the shops nearby feature Rick’s restaurant where he can be found bartending and Chumlee’s candy shop that’s perfect for kids both big and little. 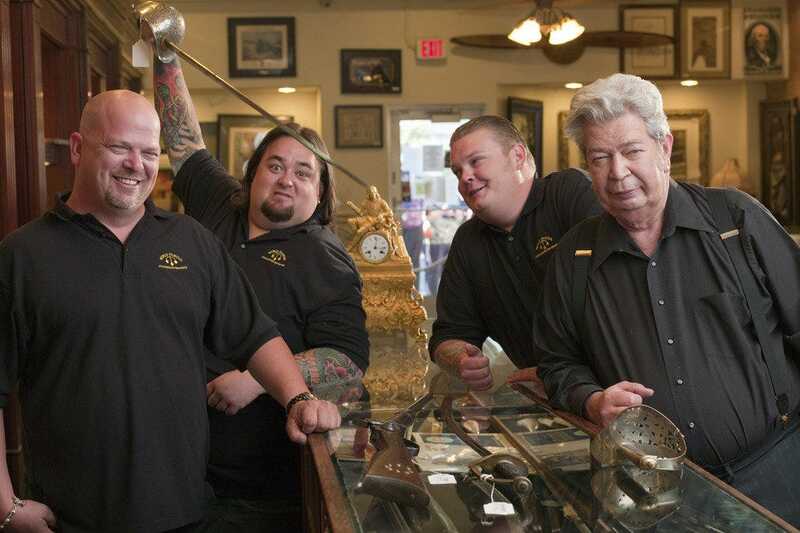 Barter for a fun outing by visiting the Gold and Silver Pawn Shop website. Looking for a little taste of Venice and a romantic city view? With The Venetian Gondola Rides, you can have both. Boats sail between 10 a.m. and 11 p.m. daily, and are located in front of the Venetian Hotel near the sidewalk. Tours are given by a personable gondolier and start at $29.00 per person. 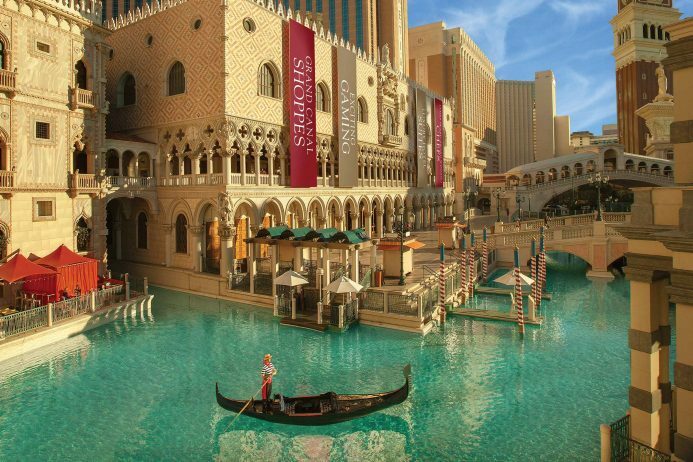 Float to a romantic experience by visiting the Venetian website. High in the mountains of the Humboldt-Toiyabe National Forest sits the rustic Mount Charleston Resort. Experience year-round breathtaking views, 51 miles of hiking trails and downhill skiing during the winter – and just 30 miles outside the neon lights and casino fanfare. Hike to your ultimate vacation destination by visiting the Mount Charleston Resort website. Get ready to cruise the Las Vegas Strip and downtown from atop a London-style double decker bus. During your open-air ride, you’ll hear all about Las Vegas resorts and exciting insider stories from your informative tour guide. Double the fun by visiting the Big Bus Tours website. Shark Reef Aquarium is an exciting journey through a slowly sinking temple overcome by some of the most dangerous predators in the world. View a diverse cross-section of magnificent aquatic creatures, including 100 sharks, (15 species in all) along with exotic fish, reptiles and sea turtles. Discover more by visiting the Shark Reef website. Check out the beautiful blown glass blossoms at the Bellagio by Dale Chihuly on the ceiling at registration, not to mention the Botanical garden & conservatory. The fine art museum is about $18 to tour. The Las Vegas Monorail is a 3.9-mile monorail mass transit system located adjacent to the Las Vegas Strip. Let the Las Vegas Monorail show you the best way to travel on the Strip. With trains arriving every 4-8 minutes at our seven stations, you can ride knowing you are using the fastest, cleanest, and most efficient transportation available. Learn more at the Las Vegas Monorail website.